Susan Abulhawa brings a raw humanity and delicate authority to the story of Palestine in this devastatingly beautiful tale. It is 1947, and Beit Daras, a quiet village in Palestine, surrounded by olive groves, is home to the Baraka family. Eldest daughter Nazmiyeh looks after her widowed mother, prone to wandering and strange outbursts, while her brother Mamdouh tends to the village bees. Their younger sister, Marian, with her striking mismatched eyes, spends her days talking to imaginary friends, and writing. When Israeli forces gather outside the town’s borders, nobody suspects the terror that is about to descend. Soon the village is burning, and amidst smoke and ash, the family set out on the long road to Gaza, in a walk that will test them to their limits, with consequences that will echo throughout generations. Sixty years later, Mamdouh’s granddaughter Nur is living in America. She falls in love with a married man, a doctor who works in Palestine and follows him to Gaza. 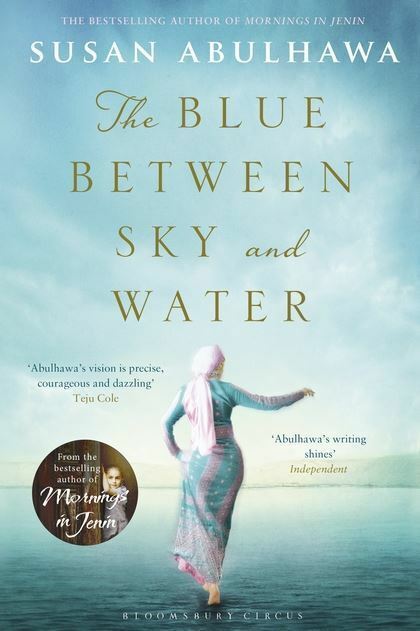 There she meets Alwan, the mother of Khaled – a boy trapped in his own body, unable to wake up from a deep blue dream. It is through her that Nur will at last discover the ties of kinship that transcend distance – and even death. Spanning generations and continents, The Blue Between Sky and Water is a story of powerful, flawed women; of relocation, separation and heartache; of renewal, family, endurance, and love.